So you want to build a new website– that’s great! It’s a fun and exciting process, but there is a lot to consider. Deciding which CMS (Content Management System) to use is your first really important decision, but there are so many different options that it can feel overwhelming. Should you use Wix? Squarespace? Drupal? While all of these options may have some good features, for the vast majority of websites, WordPress is the best choice. WordPress is free, it’s open-source, and it is extremely customizeable, easy to use, and powerful! Whether you want to have a small blog, or a thriving business, WordPress is a great platform to build your new website on. The core WordPress platform is 100% free, and you can create dynamic and interesting websites without ever spending a single penny. There are hundreds of free themes and plugins available as well. WordPress is ‘open-source’ — this means that all of the code is community software, so you can get it free of charge and make edits to it however you’d like. Open source software is extensively used and tested, frequently updated, and fully customizeable. Plus it’s a huge community, so there’s always someone who can offer tech support. And when you build with WordPress, you join that community. It’s a great thing to be a part of! WordPress isn’t just for blogs anymore! (But if you DO want a blog, it’s still the best option for that.) Whether you’re creating an e-commerce site, a home for your business, a video streaming site, a membership site, a portfolio, a wiki, or a booking site, WordPress does it all. Some of the biggest websites in the world are built on WordPress! And that’s just the tip of the iceberg. 30% of the internet is built with WordPress– and about 500 new WordPress sites go up every single day. If you’re a beginner, then WordPress is very easy to learn. You can start creating right away, the admin dashboard is intuitive and clean, and there are tons of resources to help you get started. If you’re not a beginner, WordPress can be extended and molded in complex and creative ways– there’s no limit to what you can do. If your don’t want to do it yourself, then Formosa Web would love to help you get started, or build and maintain your site for you. Feel free to contact us and we can get started right away! With thousands of themes to choose from, you can give your WordPress any look and style that you want. There are amazing out-of-the-box themes that can be installed with just a few clicks and no coding knowledge needed. Whether you’re creating a store, a magazine, a portfolio, or something else altogether, there is bound to be a perfect theme for you. Themes are easy to customize and change, so whatever look you’re feeling, you can always give your website a fresh update. Then there are the plugins, that extend your website’s functionality in just about any way you could possibly want or need. From contact forms, message boards, interactive features, social media, and more– whatever feature you’re hoping to have on your site, the WordPress plugin directory probably already has a plugin for you. Themes and plugins are often free or very affordable, so you can keep building and creating in impressive new ways. SEO is an important part of having a website. It stands for ‘Search Engine Optimization’– and is all about how well your site ranks on Google (or other search engines) when someone searches for the type of content your website provides. WordPress is built in a way that makes it very easy for search engines to find and rank, so you’re more likely to show up in people’s searches. It also has lots of great plugins that help your SEO even more, so you can start ranking even higher, getting more attention, and have more people coming to your website. If you ever have any technical problems or can’t figure something out, there are tons of amazing resources, tutorials, and support systems in place for you to get the help you need. No other CMS community is as active or as helpful as the WordPress community, so you’ll never have a problem that’s too big to handle. Formosa Web Services would also be more than happy to help you out if you’re having any problems with your WordPress site, so send us a message today and we’ll get back to you right away. 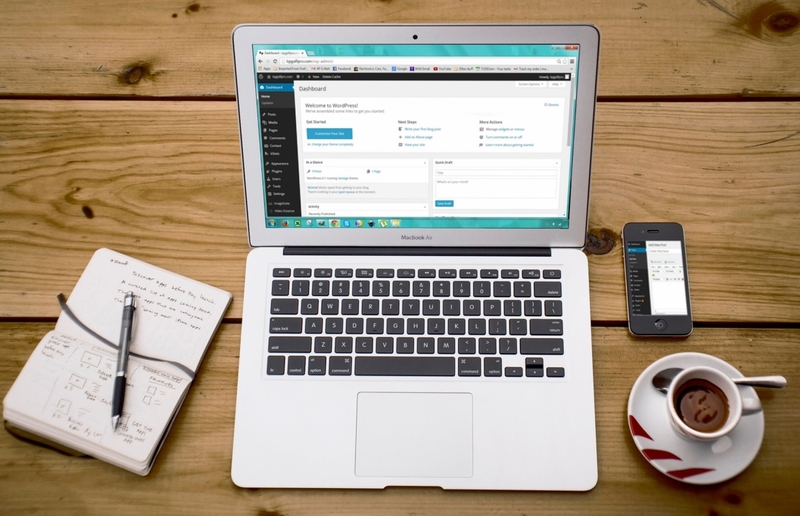 These are just a few of the many reasons why WordPress is the best choice for your new website. It is flexible, powerful, easy to use, and secure– plus with such a thriving and active community, it’s always getting even better. Contact Formosa Web today and let’s get started on your new website! We offer creative WordPress solutions & development, for when you need a developer who listens.